WEST YELLOWSTONE – Increasing grizzly bear numbers in and around Yellowstone National Park during the last decade present a misleading snapshot of the species, because the most important grizzly food sources could soon begin to vanish, a federal biologist said. Without those foods, grizzly bears themselves could re-enter the decline that prompted their addition to the federal endangered species list in the 1970s, said David Mattson, a wildlife biologist with the U.S. Geological Survey’s Biological Resources Division. “The future for the grizzly bear is going to be dramatically unlike the past,” Mattson told about 300 people gathered in West Yellowstone for the annual meeting of the Greater Yellowstone Coalition on Saturday. From 1984 to 1992, Mattson served on the Interagency Grizzly Bear Study Team based in Bozeman and is now based at the University of Idaho. He was featured in the book, “Science Under Siege,” by Todd Wilkinson, which describes attempts by higher-ups in federal wildlife agencies to stifle research by Mattson that threatened to detract from the rosy outlook the agencies have painted for grizzly bears. Between 280 and 610 grizzlies now live in the Yellowstone region, and the number is slowly increasing, according to official agency estimates. But independent scientists have raised doubts about the population numbers, and the agencies have refused to release figures and statistics that would allow the outside scientists test the agency estimates. One such scientist, Craig Pease of the University of Vermont, has sued Interior Secretary Bruce Babbitt to obtain the figures. 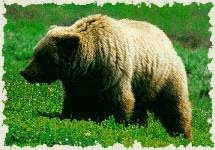 Mattson said Yellowstone grizzlies depend on four primary foods: large herbivores such as elk, bison and moose; whitebark pine nuts; cutthroat trout, mainly from the tributaries of Yellowstone Lake; and army cutworm moths that swarm among the high peaks on the east side of Yellowstone. Each of the four food sources may be far less stable in coming years than they have been in past years, Mattson said. Agencies are discussing management schemes for bison that would cap their numbers at about half of what they were during the late 1980s and early 1990s. An invasion of Yellowstone Lake by exotic lake trout will almost certainly lead to potentially drastic declines in the lake’s native cutthroat trout population. Changing land use patterns, pesticides and global climate change could shrink habitat and numbers of army cutworm moths and the cutworms that represent one stage in their life cycles. Blister rust, an alien fungus, has destroyed whitebark pine stands in northwest Montana and is now infecting more and more trees in the Yellowstone region. Declines in the four food sources can clearly spell trouble for grizzly bears. Even during past years of poor whitebark pine nut production, grizzly bear deaths have increased by nearly 50 percent as bears leave the mountains for populated areas in search of supplemental food, Mattson said. On average, the grizzly population increases by about 7 percent during years of good pine nut production and declines by 5 percent during years of poor production, he said. Studies also suggest that global climate change may shrink the habitat available for whitebark pines and army cutworm moths. “We stand to lose virtually all of the habitats that support cutworm moths and whitebark pine,” Mattson said. Gradual human development of lands that might otherwise serve as grizzly bear habitat leaves grizzlies with a shrinking safety net to cushion them from declines in critical food sources. It also exposes them to additional threats: between 80 percent and 90 percent of grizzly bears that survive past weaning are eventually killed due to conflicts with people, Mattson said. The best way to bolster the grizzly population now is to allow the bears to live in as many places as possible where they are free from conflicts with people.